The International Mefo Sport Flattrack Cup is momentarily on hold. Der Int. 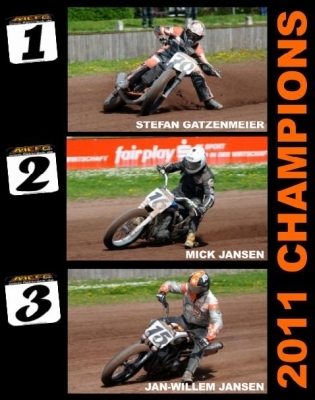 Mefo Sport Flattrack Cup macht Pause. In the mean time there are still many opportunities to race in Europe. Look on www.dutch-brothers.com for more information of races taking place near you. Dennoch ist einiges los und es gibt einige Möglichkeiten an Rennen teilzunehmen. Alle Renne sind auf www.dutch-brothers.com jeweils ausgeschrieben. You will be redirected to www.dutch-brothers.com in 10 seconds.